Weight loss supplements are not for everyone but can be very helpful for some people. If you are overweight or obese, check with your medical doctor to determine if you are a good candidate for weight loss supplements. Weight loss supplements are not to be used for a long-term solution to overweight or obesity issues. 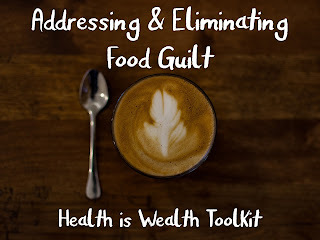 Sometimes they can just give people a jump-start & allow people to focus on making lifestyle changes, without a hearty appetite. In all of my years as a Dietitian, I have only agreed with a few patients that weight loss supplements would be appropriate for them. Some of the appetite suppressants, such as phentermine, can be addicting & can give people adverse side effects, such as a rapid heart rate or anorexia. 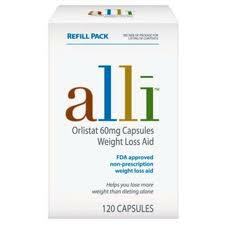 Fat absorption inhibitors such as orlistat (or over the counter Alli) can be excellent choices, since if you decide to eat high fat meals…the result can be explosive! Since these supplements block fat absorption in the GI tract, it is recommended to take a multivitamin that includes your fat-soluble vitamins A, D, E, K, and beta carotene in the evening, at bedtime. Also, Fish Oil contains fatty acids, so if you are on fish oils, make sure to take the fat absorption inhibitors at least 2-3 hours apart from your fish oils. Most of your over the counter weight loss supplements and “fat-melting” supplements (you might see these at health stores as thermogenics) have CNS (central nervous system) stimulants in them. Adding them to your prescription appetite suppressants could be harmful or lethal! Some of these CNS stimulants include green tea, guarana, bitter orange, or caffeine. Also, be aware of the dangers of using Serotonin-enhancing supplements with appetite suppressants, such as St. John’s Wort, SAM-e, L-tryptophan, and 5-HTP because they could lead to serotonin syndrome, a potentially life-threatening syndrome with adverse side effects such as hallucinations, headache, coma, shivering, diarrhea, and tremors, amongst other things! Hi! I like your blog! I'm following your blog for GFC!! I hope your visit! Have a great Week! I am very enjoyed for this side. Its a nice topic. It help me very much to solve some problems. Its opportunity are so fantastic and working style so speedy. I think it may be help all of you.